Monarch Air Group provides private air charter in Columbus, OH. Our clients benefit from top-notch service, unrelenting dedication to safety, wide selection of aircraft, and years of experience in chartering private jets. To obtain a free quote, please use our online quoting tool provided below, or call toll free 1-877-281-3051. Monarch Air Group offers private jet charter services to and from Columbus, OH, USA. 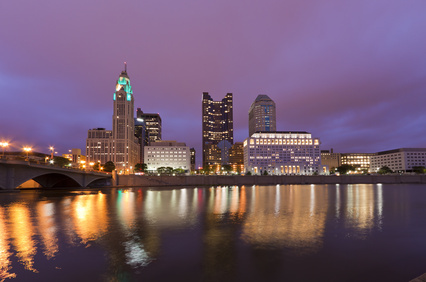 The largest city in the US, Columbus, is the capital of the state of Ohio. Columbus has a rich history and various cultures that tourists can really enjoy. It’s a large metropolitan city, that offers tourists shopping, entertainment, comfort transportation, beautiful museums, sports, and music performances. Columbus is served by three major airport, which give refuge to over 3 million traveling visitors a year. 1. ATO, Ohio University, Athens, United States. 2. CMH, Port Columbus Intl, Columbus, United States. 3. DAY, James Cox Dayton Intl, Dayton, Oh, United States. 4. FFO, Patterson Afb, Dayton, United States. 5. GQQ, Galion, Galion, United States. 6. ILN, Clinton Field, Wilmington, United States. 7. LCK, Rickenbacker, Columbus, United States. 8. MFD, Lahm Municipal, Mansfield, United States. 9. MNN, Municipal, Marion, United States. 10. OSU, Ohio State University, Columbus, United States. 11. SGH, Springfield, Springfield, United States. 12. ZZV, Zanesville, Zanesville, United States. 1. Lofts Hotel & Suites, 55 East Nationwide Boulevard, Columbus. 2. Residence Inn by Marriott Columbus Downtown Hotel, 36 East Gay Street, Columbus. 3. Residence Inn by Marriott Columbus Downtown Hotel, 36 East Gay Street, Columbus. 4. Doubletree Guest Suites Columbus, 50 South Front Street, Columbus. 5. The Westin Columbus, 310 South High Street, Columbus. 6. Courtyard by Marriott, 35 West Spring Street, Columbus. 7. Lofts Hotel & Suites, 55 East Nationwide Boulevard, Columbus. 8. Residence Inn by Marriott Columbus Downtown Hotel, 36 East Gay Street, Columbus. 9. Residence Inn by Marriott Columbus Downtown Hotel, 36 East Gay Street, Columbus. 10. Doubletree Guest Suites Columbus, 50 South Front Street, Columbus.